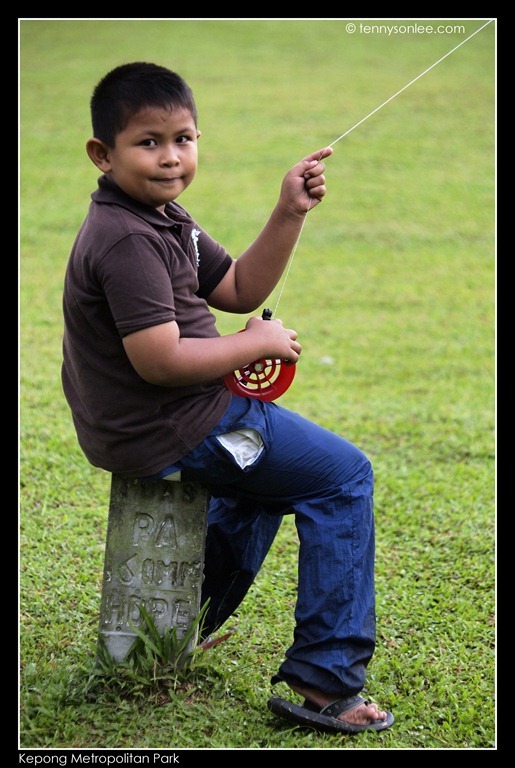 I heard that the best place to fly kite is at the Kepong Metropolitan Park near Batu Caves. It would be great feeling to run on the lawn bare feet and to embrace the wind. 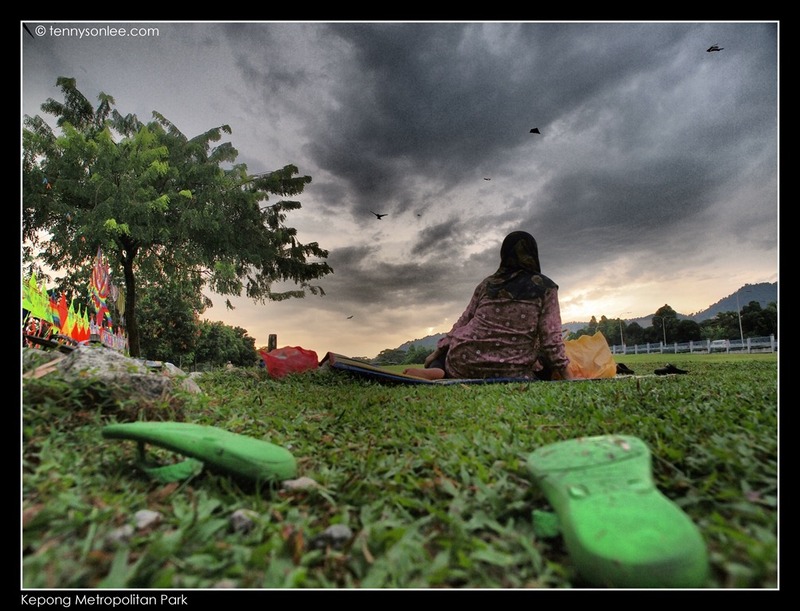 It was heavy down pour at Kepong Metropolitan Park this evening. We planned to play kites at the park but the weather was not cooperating. After 6pm, the heavy storm died down to drizzling and we decided to walk into the park. Lightning was visible nearby but few brave souls started pulling strings and ‘surfing’ the sky. The night came in a short time. 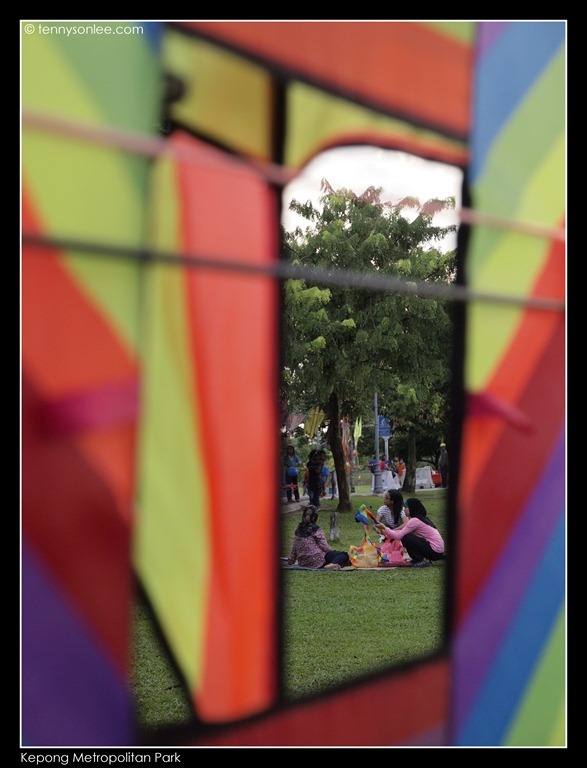 Christine bought a colourful kite and we plan for a revisit to this beautiful park again. It was a great place to have fun and relaxation. This entry was posted on April 7, 2012 by Tennyson. 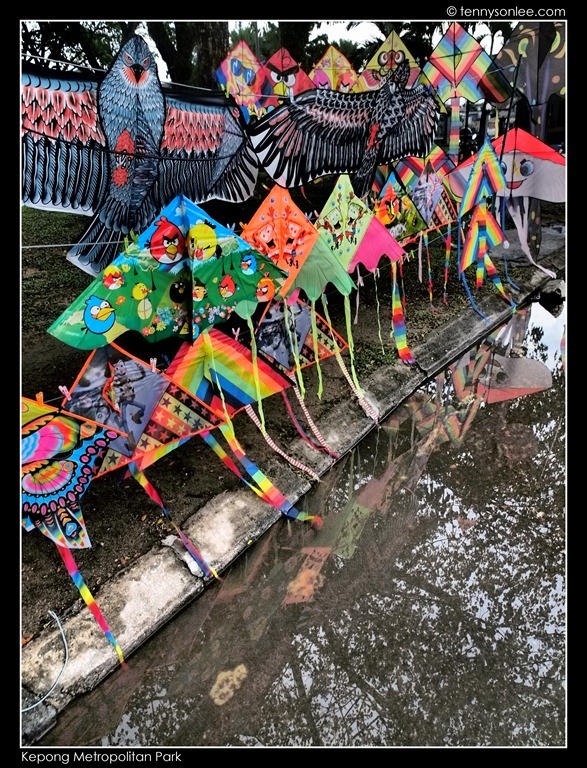 It was filed under Kuala Lumpur, Malaysia, Places and was tagged with Flying Kites, Kepong Metropolitan Park, Kite.